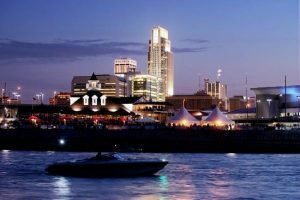 With a population of over 400,000, Omaha also boasts a total greater metropolitan area population of about 900,000 residents. Situated in the heartlands of the American Midwest, the city also has great economic, cultural and historical significance, and is perhaps best known as the home of famed multi-billionaire Warren Buffet. The city covers an area of approximately 130 square miles and is the 42nd largest city in the United States. The following guide will discuss some of Omaha’s most significant pest control problems, including advice on how to avoid and remedy them. Omaha’s climate is characterized as ‘humid continental’ and experiences hot, humid summers and cold, dry winters. Thunderstorms are common in the summer months (particularly July), and can develop into severe storm systems and tornadoes. Average yearly rainfall stands at around 30 inches, and snow is common in the winter months. Omaha’s seasonal weather combined with potential for extreme weather events makes pest activity a concern for the city’s residents all throughout the year. Some of the more common pest problems in the Omaha area include Asian lady beetles, boxelder bugs and cockroaches. Although they are perhaps one of the least hated pests, Asian lady beetles can nonetheless present problems for Omaha homeowners as they can infest properties in very large numbers. The species is easily identified by the spotted pattern covering its shell and ‘W’ shaped marking near the head. Because these insects are quite small and reproduce in rather large numbers, they can be difficult to control. DIY attempts at removal are possible, however, it is recommended that a pest control agent carries out an extermination for complete eradication. Boxelder beetles are very common throughout the Midwest, and are easily identified by their black, oval bodies with red trimmed wings. While the species, thanks to its name, is commonly associated with the boxelder tree, it can also be found near ash, maple and other seed bearing plant populations. Although these bugs are not dangerous (they may deliver a rather insignificant bite), they can quickly become a nuisance, particularly during the winter months as they take refuge in homes and other buildings. Like the Asian lady beetle, boxelder bugs can be quite difficult to control due to their tendency to quickly form large populations and being difficult to locate and exterminate. For a thorough treatment of a boxelder bug infestation, professional pest control is the most efficient option. There is a range of high-quality pest control agencies servicing the Omaha area, including Omaha Pest Control. This company offers a number of effective treatments for a very wide range of pest problems, including those discussed in this guide, and more. They offer a free inspection service and pest removal guarantee, and provide a number of different residential and commercial treatment plans. Other reliable pest control service providers in the area include ABC Termite & Pest Control Inc., Lien Termite & Pest Control, and Professional Termite & Pest Control Inc. To find the pest control service that is right for you and your needs, consult listings for pest control agencies in your area.